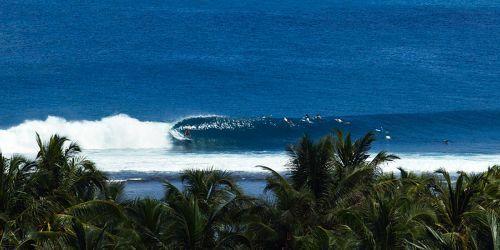 This Boat Trip package to Mentawai, on board the famous King Milenium, is suitable for all the most avid surfers who want to spend as much time possible in the water! The boat leaves from Padang at night and arrives in the islands at sunrise, so, the remaining 11 days are spent without surfing limitations, eating a lot and with 2 beers per day included! 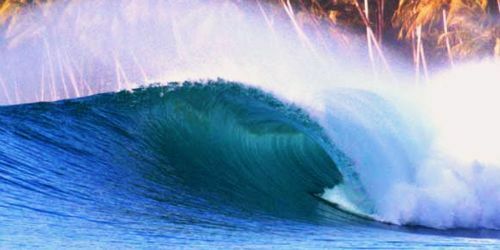 In addition, the boat starts to return to Padang at night, so, the last day you can surf all day! Bring your standard short board, a step-up board like a 6'6 or 6'8 and a 7'6 gun (if you're a big wave rider). At the end of the trip you will have some great memories and photos of incredible sessions and the time spent on the boat! NUMBER OF FREE SPOTS CAN CHANGE AT ANY TIME BEFORE BOOKING CONFIRMATION. To reach Mentawai, we first recommend flying to Padang international airport (PDG) in West Sumatra, easily reachable from Jakarta airport (CGK) via indonesian domestic airlines such as Lion Air, Garuda, Citilink, Sriwijaya, or with international flights from Singapore (SIN) or Kuala Lumpur (KUL). For domestic flights, average price between 40 and 100 € per trip. Included in the price we offer transfer from / to Padang Airport. Most nationalities do NOT need a special visa to go to Indonesia (30 days on arrival).We always recommend to check the validity of your passport before traveling (at least 6 months validity from the scheduled return date) and to take various copies of your passport with you, if the original gets lost. There are not good hospital facilities in Mentawai, only small medical centers, we recommend traveling with an international travel insurance, in the emergency case of helicopter transfer to a bigger hospital.